Paramore have scored their first number one on an airplay ranking with their latest single "Ain't It Fun," topping the Billboard Adult Pop Songs Chart this week. An excerpt from the Billboard article confirming the news can be found below. "More than eight years after the band first graced a Billboard chart, alt/pop trio Paramore scores its first No. 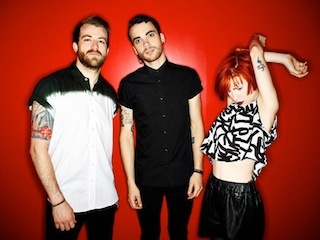 1 on an airplay ranking, as “Ain’t It Fun” lifts 2-1 on Adult Pop Songs. The coronation is the song’s latest honor, as it became the band’s first Billboard Hot 100 top 10 (reaching No. 10) on the May 24 chart."